Haeundae Beach is one of the most famous beaches in Korea, not only in Busan. In every summer, hundreds of thousands people gather on this beach to enjoy their vacations because the depth of water is low and the quality of its sand is absolutely excellent. It is said that Haeundae Beach is one of the symbols of Busan. Thus, a lot of people visit here all the year round. There are much accommodation, like hotels and gust houses, and additional facilities, such as restaurants and cafes around the beach. In addition, various festivals, like the Viewing the Moon Festival and the Busan Sea Festival, are held. In particular, a large number of movie fans come to this beach during the Busan International Film Festival, which is the biggest film festival in Asia. 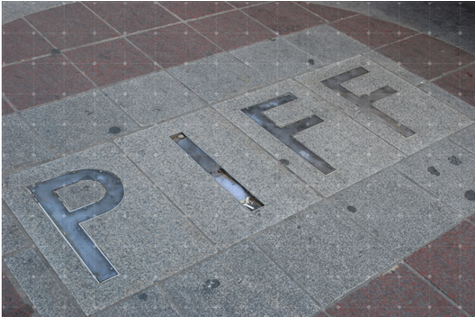 This building was built to be used for the venue of the 13th APEC summit from 18th to 19th November in 2005. The entire building structure expressed the Korean traditional architecture well while the roof embodied the ridge of Dongbaek islets. During the APEC summit, domestic and foreign media press admired that Nurimaru APEC House has the most beautiful landscape out of all the venues of the APEC summit ever. Since the APEC summit, it has been used for business meetings for CEO and executives. Youngdusan Park is located in Mt. Youngdu. The mountain is in the city center and very well-known in Busan. The reason that the mountain is called the name is that its terrain looks like a dragon. Actually, Youngdu means a head of a dragon. The groundbreaking ceremony is in November in 1915 and the construction finished in the year after. 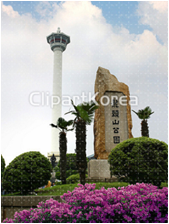 The important thing is that the Busan Tower is located in this park as a representative building. As long as people climb the top of the tower, they can see the whole sceneries of Busan. In particular, The landscapes of the Busan port and the night view are breathtakingly gorgeous. 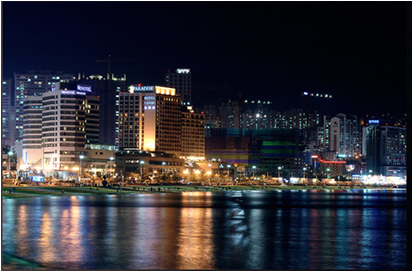 Usually, Busan is said to be a city of a film since the Busan International Film Festival is held in the city year by year. Like I said, while the film festival is being held, a lot of people gather in this city, include movie stars and directors at home and abroad, as well as movie fans. 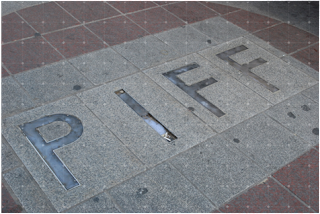 In this regard, Busan Film Street in Nampo-dong is a hot place during the film festival as there are a wide variety of film events, like hand print events and outdoor stage greeting ceremonies. 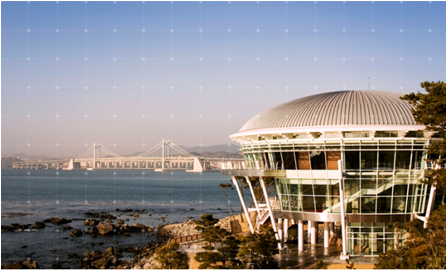 So, if you visit the place while traveling in Busan, you will be able to learn the history of the Busan International Film Festival from scratch. And also, Jagalchi Fish Market is right on the opposite side.